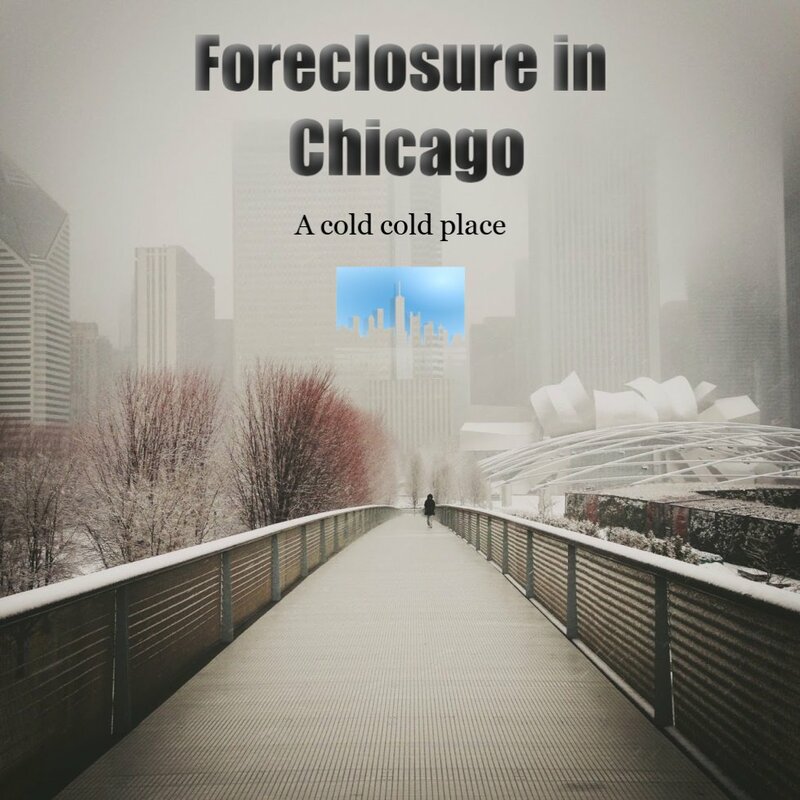 You aren’t the first person to go through a foreclosure in Chicago … and won’t be the last. So don’t feel ashamed. The best thing you can do right now is educate yourself on your options. Research the exact amount owed. Without knowing precisely where you are, you can’t develop a proper game plan. Work with your lender or a third-party company to repay the amount. The lender is typically surprisingly flexible here. Save the equity in your house and put it up for sale. If time is a concern, a cash buyer can help purchase the house and payoff back payments. Owning a property is one of the most admirable deeds in the world. It often shows success and coordination. But what most people don’t know is the process of owning a home can be very hectic, and this can take a toll on you. One of the worst possibilities that might happen during this process of owning a home is going into pre-foreclosure. Pre-foreclosure: State of a property that is in the early stages of being repossessed due to the property owner’s inability to pay an outstanding mortgage obligation. Reaching pre-foreclosure status begins when the lender files a default notice on the property, which informs the property owner that the lender will proceed with pursuing legal action if the debt is not taken care of. At this point, the property owner has the opportunity to pay off the outstanding debt or sell the property before it goes into foreclosure. This is the initial property repossession stage that comes to play when you fail to pay your mortgage within the stipulated time, and you have extended it further to a point where the mortgage company cannot bear it anymore, this is usually a period of three months. This process begins when the lender notifies the property owner that they will be seeking legal intervention in the matter if all the outstanding debt is not paid in full. If the property owner can manage to pay off the outstanding debt, then there will be no problem but if the property owner can’t beat the deadline they might be forced to sell the property before it reaches the foreclosure stage where the legal process will be involved officially. The only two options that the homeowner has is to pay the mortgage balance or put the property up for sale. The benefit of selling the property before it reaches the foreclose stage is that you get to sell it a much higher value but typically on a time crunch. If you are a home owner and you default on your mortgage payment, then you will be notified that your house will soon be going through the process with foreclosure Chicago. You are usually given a certain period of time to make arrangements before the problem becomes a judicial case officially. The stage whereby your house gets in the judicial system and starts undergoing the repossession process is what is known as foreclosure. Once the house gets to this stage, then it is not easy to stop the process and reclaim it back, but that doesn’t mean that you can’t stop this judicial process altogether. You should thus not be pushed to the limits just because you think you have played all your cards and there is nothing else you can do to get back your home. The simple fact that the court is involved can be very frightening, and it may end up leaving you fear-stricken to a degree where you can no longer think straight but sit and lay back as you wait for the house to be taken off your hands. We have seen this first hand many times. This means a loss for both you and the lender. The first step that one can take is to make sure that you know your rights and communicate to the lender because this is not a road neither of you would want to take. This means that the lender is willing to work with you and help you come up with ways you can settle your debt without going deep into the foreclosure process. This workout process is usually very good at stopping foreclosure so long as you both reach a common ground that will be favorable. The lender understands the amount of time and money that will be wasted in the foreclosure process in terms of court fees and court attendance and with this in mind they will always opt for the alternatives. There is a number of actions you can take to make sure that your home does not undergo the foreclosure process. These methods have been tested, proven and have been found to be very effective. Some of the steps include. After the foreclosure has been filed and the lender is busy with the judicial process, you can try and find a buyer who will buy off the property and stop it from going to auction. This is what is called the short sale. You must be very quick to make sure that you get the buyer as fast as possible, the lender is obligated to take a look at the offer before they approve it. If the buyers offer is ideal then the foreclosure process will be halted, and you will sell your property. This is a win-win situation for everyone. You get to protect your credit status, the lender gets to stop spending a fortune on the court processes, and the new owner of the property gets to buy a great house at a fair price. This method is usually not recommended, but it will often go a long way in making sure that you don’t get to undergo the dreadful process for foreclosure Chicago. Deed in lieu is when you decide to sign the property back to the lender. This is done voluntarily by the owner. Most lenders detest this process since the homeowner can later file a motion in court claiming that they had no idea what was happening and try to reclaim their home. This method is usually put into consideration only if the lender is sure that the homeowner is not lying about being financially distressed. At the end of the day, it is usually one of the fare methods that will stop the foreclosure and prevent you from undergoing the dreadful process. This method is also used when the owner tried to sell the house, but failed to land a client. This is yet another method that can be used to stop foreclosure and give you adequate time to finish up your mortgage payment without any problems whatsoever. It requires you to apply for some modifications to be made on your mortgage requirements form so that they can suit your needs. This will force the court to stop the foreclosure permanently and give you adequate time to clear off your mortgage. This will only be considered if you adhere to the new changes and keep paying your mortgage payments without defaults. Sometimes things happen so fast that if you are not keen, you might just find yourself in the last stage of a foreclosure. The fear tends to cause confusion and the hope that you will find money to help you clear your mortgage debt can be too overwhelming thus leaving you blinded until the last minute when your house has to undergo just a single process, and it is off your hands. The greatest part is that you can still keep your home by taking a last-minute step that will save you from losing your home for instance. If you are in such a tight situation, the last minute option is to declare bankruptcy and this will no doubt save you from a foreclosure. The law often prohibits the collection of debt whenever someone files bankruptcy and this includes a foreclosure, filing the bankruptcy will freeze the foreclosure and give you time to recollect. It is often a temporary solution that will help you work with your mortgage lender and give you enough time to solve the situation. But you should be fully aware that this only solves the condition temporarily and not permanently. 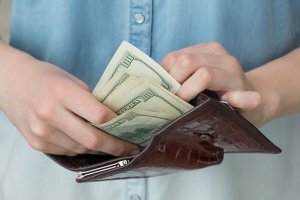 Find a reputable cash home buyer that can act quick in a delicate situation like this. We buy houses Chicago and can help advise you on the best process to take to relieve this stress. Failing to pay your property taxes can be very destructive and may eventually lead to the loss of your home. A lien can end up being placed against your property that will allow it to be sold to recover the taxes you have defaulted on. There are ways through which you can stop your property from undergoing foreclosure due to tax default. This is often the first step to take whenever you hear your property is close to undergoing foreclosure due to tax issues. Visit your local authorities and try to come up with a suitable way through which you can swiftly clear your taxes. You can apply for a poverty exemption and once this goes through you might end up being given adequate time to pay your taxes or they might reduce the tax amount. You should be ready to show proof that you are the property owner and you should also be able to provide a copy of your pay slip. Once you are in the process, you should at least get yourself the best attorney to represent you in court. The attorney might end up either preventing you from losing your home or might end up getting you a suitable deal. You can try and get some credible cash buyers who will be ready to buy your property before the foreclosure process is finalized. This can be done by either manually searching for them or you can try and search companies which offer cash for houses undergoing foreclosure. There are numerous places you can secure yourself a deal fast without any problems whatsoever. Just make sure they are reputable and have been down this road before. The state of Illinois is judicial when it comes to the foreclosure process. For IL, this means that the whole process is presided over by the court and only the court is able to offer the final verdict. This is often regarded as a very fair process since both sides are given a chance to express their grievances. Both sides need to be represented by attorneys of their own choice and the case will be heard during the stipulated date. With that being said, foreclosure is only initiated as soon as the lender makes a complaint and serves you with the court orders. The complaint should be accompanied by a lis pendens. Lis Pendens: A pending legal action, or a formal notice of this. Typically notifying the public that the property is under foreclosure. These matters are taken to a special court known as the circuit court and once the judgment is rendered and the property is to be sold, they often do it publicly. There is no worse situation in life like facing a foreclosure eviction. This process is usually painful. It means that you no longer have a home so you will have to seek a way to survive. But this doesn’t have to go down this way. 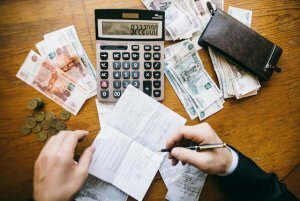 Some of these methods can help you secure your home and give you time to reorganize your finances. This is the only way that someone can be able to get leniency from the court during the foreclosure. This will halt any lenders from making any collection. By filing for bankruptcy the court will give you time to reorganize yourself and negotiate with your lenders to stop them from acquiring your property. As much as it is a temporary method, it’s usually very effective. When Is It Too Late To Stop Foreclosure? You might have tried all remedies possible to try and save your home but most have failed you. Factually, it’s never late to stop a foreclosure and the only time that it might be considered too late is if the house has already been put up for an auction by the court. Otherwise, you can stop the foreclosure of your home at any time and any phase of the foreclosure period. With a good lawyer, you always stand to retain your home and get some time to make money arrangements. You can also try and sell it to cash home buyers that are always ready to purchase the property. So, are you in foreclosure Chicago and want to learn how to stop foreclosure now? We’ve created free online guides to help homeowners just like you find out your options on getting out of the sticky situation you’re in right now. 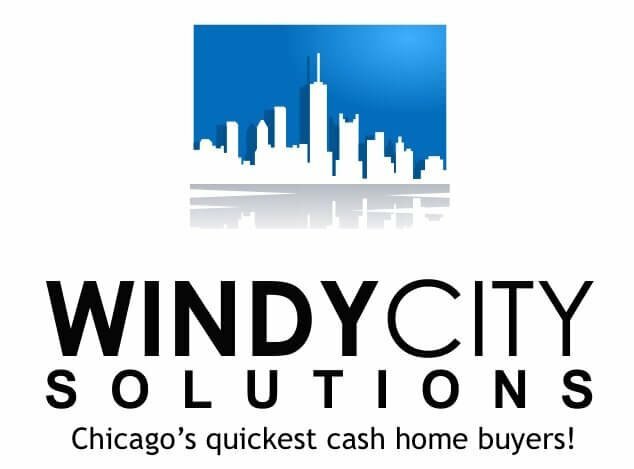 If you’re thinking, “I need to sell my house fast Chicago,” we are the professional team for the job. If you want to know how to stop foreclosure on your home and halt the process for foreclosure Chicago, give us a call and we can help walk you through your options. The best thing you can do right now is educate yourself on your options. Here you can search for your tax delinquent amount: Cook County, Will County, DuPage County. For some people selling your home is the best option (we’ll make a fair all cash offer on your house today, just let us know about your situation here <<), sometimes we’re able to help homeowners STOP FORECLOSURE Chicago completely, and sometimes there are other options. So, click one of the buttons above to get your free foreclosure guide.